When we look to the natural world, we find inspiration in beautiful ways—much of our world has been, in some way, informed by what was here long before us. 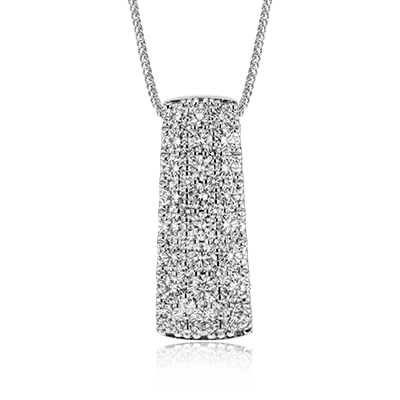 The same holds true for our Nature’s Prime jewelry collection, a meticulously created selection of stunning pieces that mirror the grandeur of nature. In the opal family, boulder opal is considered one of the most valuable varieties. 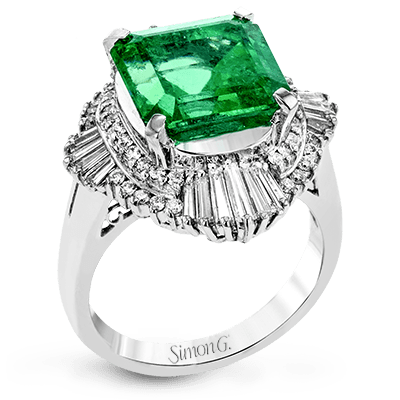 Identified by its rich, intense colors, these gemstones are primarily found in Australia. 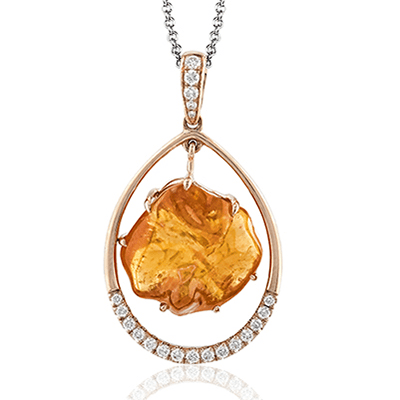 One such stone can be found in our Nature’s Prime collection, beautifully situated at the center of a rose gold and white diamond pendant. 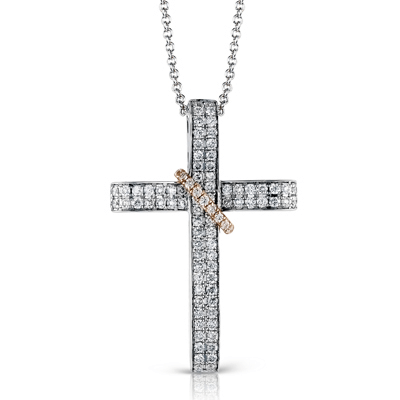 An opal piece such as this will be a distinctive and mysterious addition to your wardrobe. 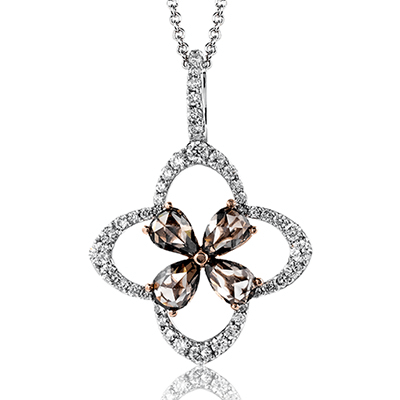 An interesting pair in our Nature’s Prime fine jewelry collection is the matching floral pendant and earrings. 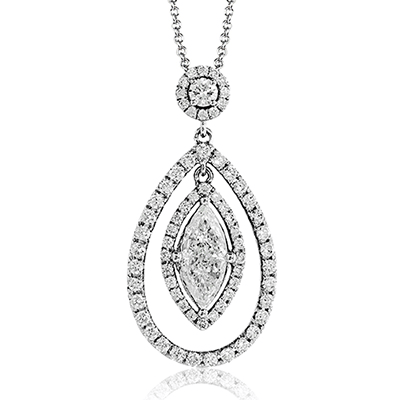 Each trimmed in round cut white diamonds, the center of the pendant features a small flower created by champagne colored rose cut diamonds. 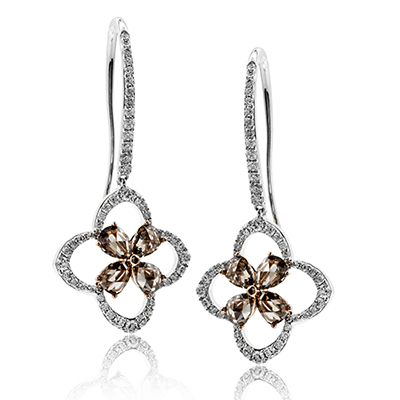 Similarly, the earrings’ center is created by pear-shaped brown diamonds. 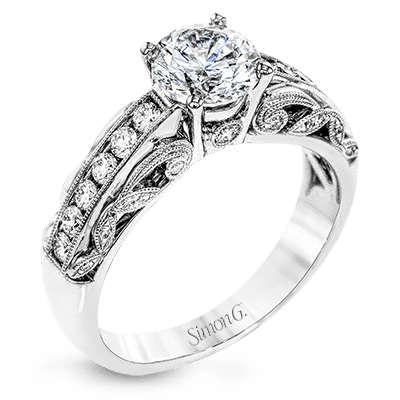 Together, these look wonderfully charming and vintage. 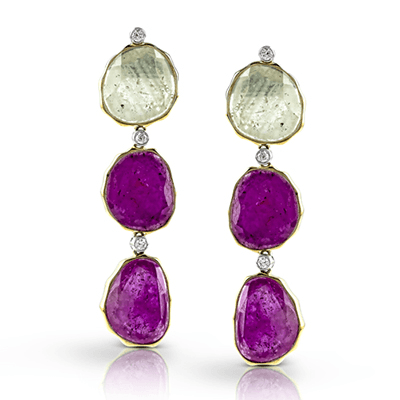 For a brighter, more vibrant appearance, our pink and white sapphire earrings are absolutely breathtaking. 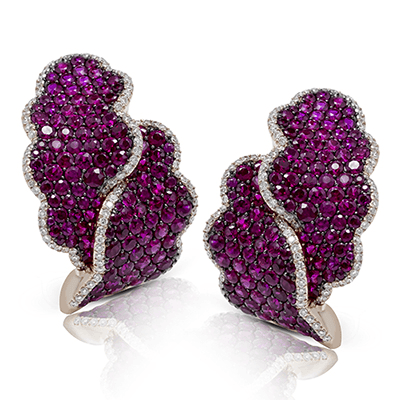 A slice of white sapphire perches atop pink sapphire, with white diamonds in-between each sapphire. The pink and white together are perfect for seasonal wear! 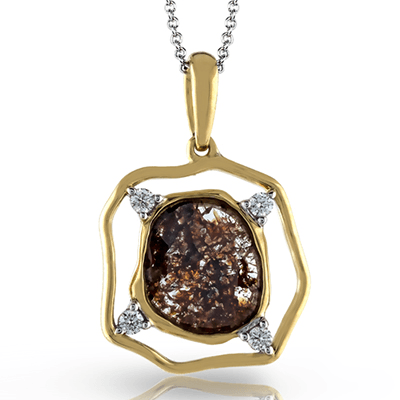 Perhaps one of our more dramatic pieces in the Nature's Prime designer jewelry collection is our brown diamond pendant. 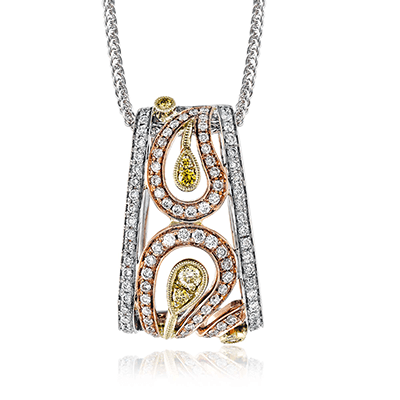 With a large slice of brown diamond acting as the center of the pendant, four round cut white diamonds secure it to the yellow gold perimeter. This offering is a rather exclusive creation and can be as versatile as necessary. 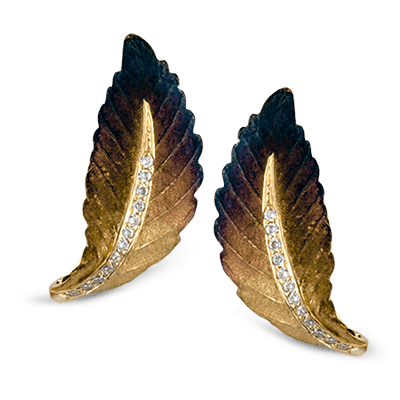 Like our sapphire earrings, this too is great for seasonal attire. 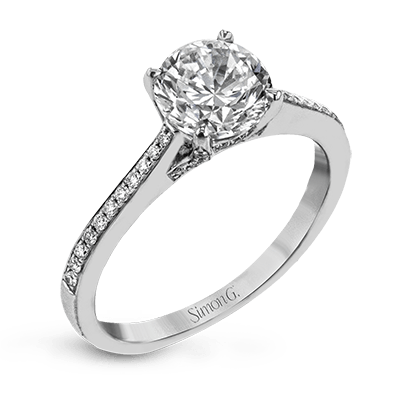 When updating your wardrobe, the Nature’s Prime collection can elevate it to another level. 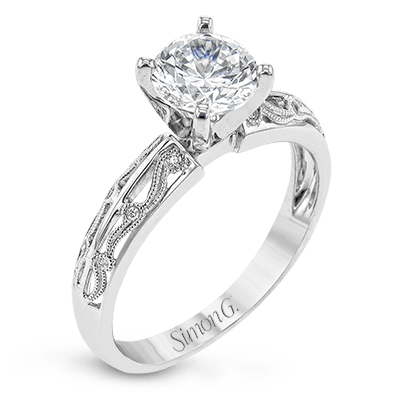 With unique gemstone offerings, you will be able to stray from the mundane and stand out. 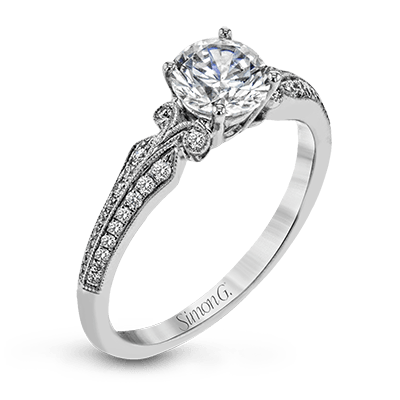 If you have questions about our collection or have a great idea of a stone to use in your own piece, we’d love to talk to you. 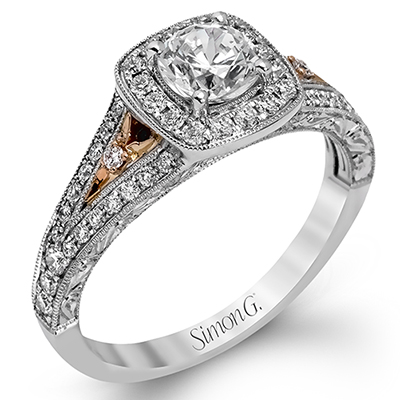 Discovering the perfect fit for your personal style is what we’re all about at Simon G.